Ski season isn’t set in stone. When planning your Colorado ski vacation, it’s helpful to know that most ski resorts do fall within a general window: November-ish through April-ish. The majority of them tend to open late November or early December, and they try to stay open as long as possible. But that window tends to start closing early April when the spring sunshine begins to melt the snow. An occasionally snowy winter can extend the ski season, however. 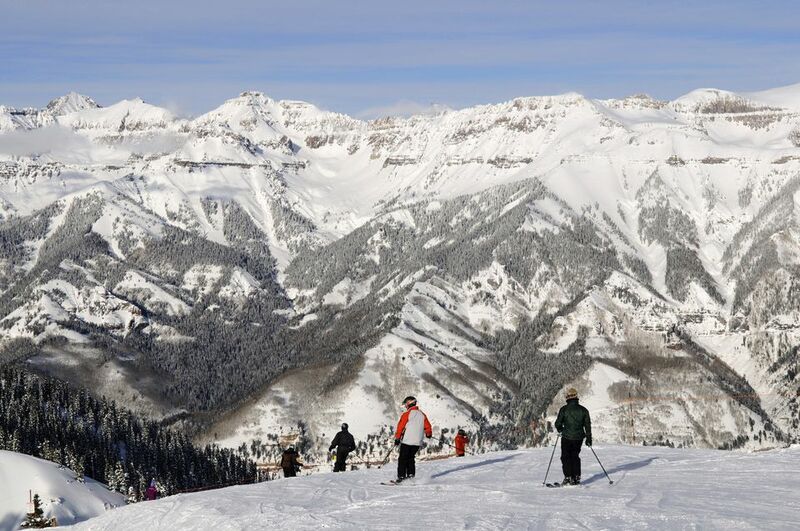 For example, the Purgatory Resort in southern Colorado, commonly associated with Durango (even though it’s about 30 miles away), opted to extend its ski season due to the snowfall. It announced it would push its closing date to late April. For skiers, that’s like Christmas in the springtime. It’s not uncommon for ski resorts to change their dates in the middle of the season, so keep your eyes on resort websites for announcements that may contribute to a last-minute springtime ski vacation. Often, ski resorts will announce extended dates late March or toward the end of their season, when they realize the snow is going to hold out for a while longer than planned. This season, most ski resorts open Thanksgiving weekend (November 21) and end in early April. However, there are some exceptions, which open in early November and close in late April. Below are the dates for the upcoming winter season. Check back later this season for updates on Colorado resort extensions. Also, find the snow report here, which provides day-to-day accounts of snowfall, base depth, lifts open, acres open, and other weather conditions. You can view each ski resort's webcams to check out conditions for yourself, too. (Or dream about it from afar as you plan.) This is also a great way to see which resorts are packed to try to avoid the lines. Arapahoe Basin is known for its extra-long ski season, one that makes Loveland's early May closing seem uneventful. A-Basin, as it’s called generally stays open until early June. It opens the slopes earlier than other resorts, too. You can expect lifts to start running during mid- to late-October. This can offer more than a month of bonus ski time on the front end and as many as two months on the back end. Not only does A-Basin offer Colorado’s longest ski and ride season, but it claims to offer the longest season in all of North America. A-Basin, located on the Continental Divide in Summit County, usually sees more than 350 inches of snow every year, which translates to some of the best skiing in the world (and also some of the toughest runs around). A-Basin’s terrain stretches across nearly 1,000 acres. Get up to the top quickly with its high-speed chairlift; the summit hits 13,050 feet above sea level. Then pick from more than 100 trails to make your way down.